Watch out for more news on the English Premier League news and bet at 12BET.com now! THE LATEST ENGLISH PREMIER LEAGUE NEWS – Manchester United manager Sir Alex Ferguson is currently worried on playmaker Shinji Kagawa’s injury, as their Premier League football match against Chelsea nears. 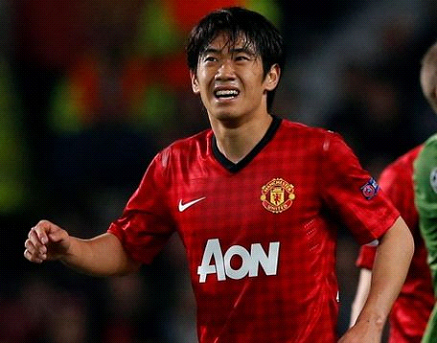 Kagawa played past through rival Braga in their 3-2 Champions League win, but went out with a twisted knee. He will undergo further medical tests to determine whether he will join United in their upcoming Chelsea clash. United’s upcoming matches after Chelsea – one at home zagainst Arsenal in the Premier League and a rematch against Braga, further burdens Ferguson with his selection choices, particularly with his concern over the number of goals his side have been conceding.